The straightforward guide to surviving and thriving in law school Every year more than 40,000 students enter law school and at any given moment there are over 125,000 law school students in the United States. Law school's highly pressurized, super-competitive atmosphere often leaves students stressed out and confused, especially in their first year. Balancing life and schoolwork, passing the bar, and landing a job are challenges that students often need help facing. 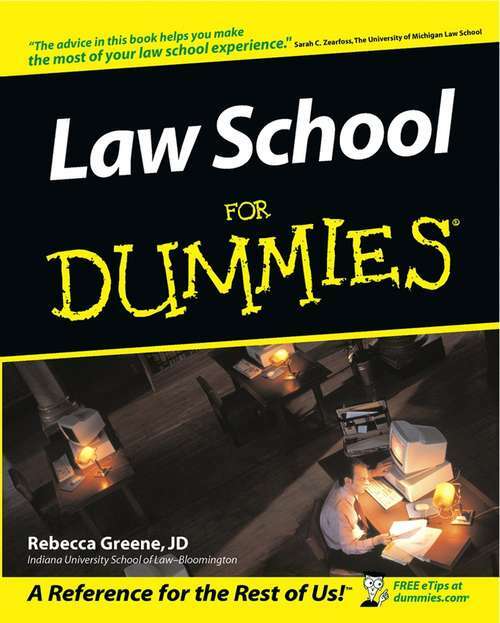 In Law School For Dummies, former law school student Rebecca Fae Greene uses straight talk, sound advice, and gentle humor to help students sort through the swamp of coursework and focus on what's important-all while maintaining a life. She also offers rare insight on the law school experience for women, minorities, non-traditional, and non-Ivy League students.